Remember rumors of a Die Hard/24 crossover? 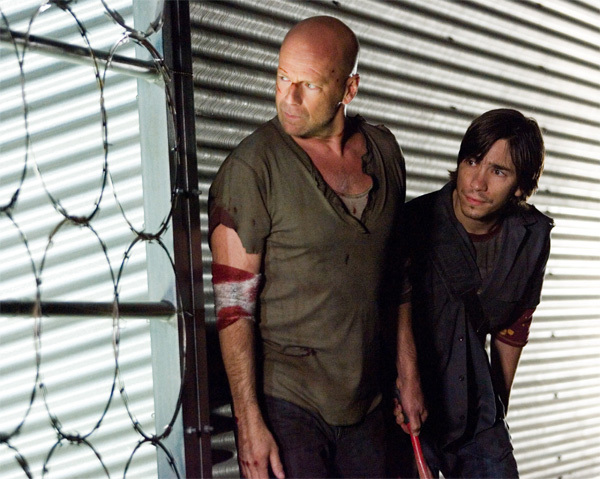 They gained a bit more credibility today, with actor Justin Long (who co-starred in Live Free or Die Hard) confirming on video that a script for the Die Hard/24 movie was “imminent”. “For a while, there was talk of, they were going to combine ‘Die Hard’ with ’24,’ ” Long said. “It was going to be Kiefer Sutherland’s character in it [to which we responded with a very suspicious, raised brow]. I’m not kidding!” Long insisted. “I think there was a script that had been imminent,” he said seriously. [..YouTube..] From ‘Distance’ to 24!! I hope Mr. Long will be there!! It would have sucked hard. [..YouTube..] Jack Bauer can save the day alone! John – Yipee kaye yay mother fucker!